As the Exclusive Australian Distributor of Aeromarine Laminates USA, all hulls are guaranteed original USA Factory moulded and come with factory joined Hull and Deck, Engine Rails installed, Gel Coat finish, Setup Plans plus Aeromarine's Serial Number of Authenticity. We also stock an extensive range of Aeromarine quality hardware to complete your boat fitout Including Rudders, Struts, Engine Mounts, Engine Drive Collets, Flex Shafts, Drive Dogs, Thrust Washers, Servo Trays, Autobailers, Cowl Locks, Stuffing Tubes, Radio Boxes, Trim Tabs, Turn Fins, and the list keeps going on. 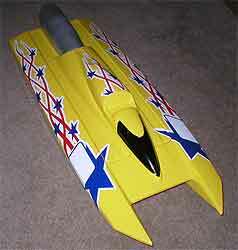 Aeromarine hulls are excellent for both Sport use and Circuit Racing. You can rely on quality Aeromarine boat hulls for awesome speed and fantastic handling in even the most difficult water conditions. Aeromarine hulls do not come painted, they are supplied standard in white gelcoat finish with factory installed timber engine rails, transom doubler and front bulkhead. 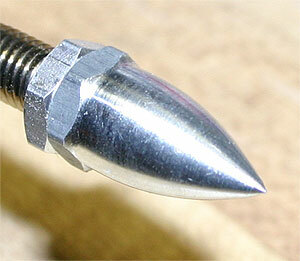 Most hulls include cowl and setup plan. Visit Personal Currency Assistant� to convert Australian Dollars to your Currency. 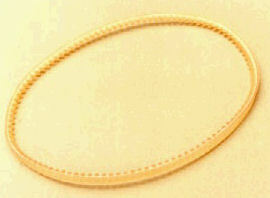 All Prices listed are in Australian Dollars and subject to change without notice. Any sale delivered to an address within Australia must include 10% GST (Tax). All export sales to overseas countries are GST (Tax) free. The Vector mono offers incredible straight away speeds and carves a turn like NO OTHER mono. 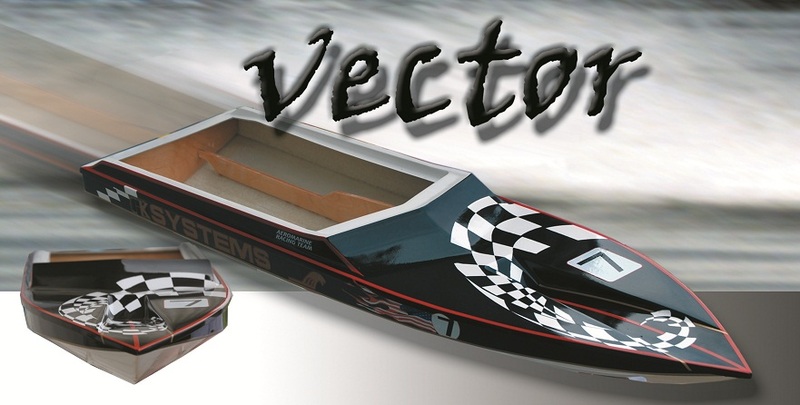 The Vector mono is a true oval racing hull. It features an easy access opening, top grade birch stringers with 5" engine rail width, extra durable Gelcoat and fibreglass lay-up, hull and deck factory joined using the most advanced adhesive on the market. These are one of the best handling cats on the market. 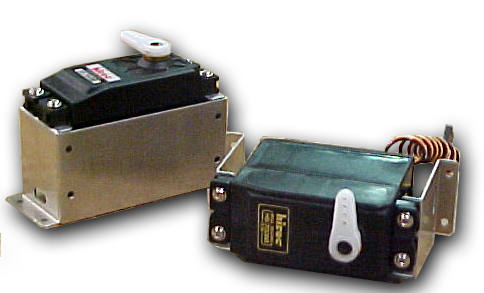 This is the light weight version 3 for electric motors. Redesigned hull and hatch to make taping of hatch very easy. Carbon fibre reinforced hull. 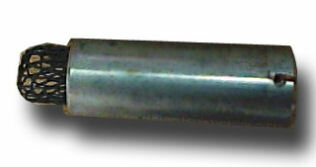 29"long with a 11" wide beam. White Gelcoat. 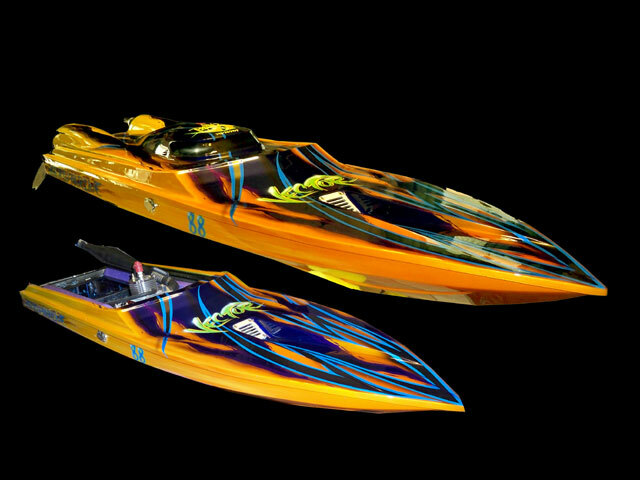 New from Aeromarine is the 36" Avenger triple step hull suitable for either .21/45 Glow engines or Fast Electric set ups. 5" timber engine rails, bulkhead and transom doubler factory fitted to aid in hull stiffness and easy mounting of glow engines. If you want a hull that has great handling and speed this is it. 36" long with a 14.5" wide beam. White Gelcoat. The new Aeromarine Team Donzi 49� hull mimics its full size Super Vee, just one of Donzi Marines fleet of quality Race and Pleasure boats. This hull, offering all out speed and performance, even in the roughest conditions, is sure to be a crowd pleaser. 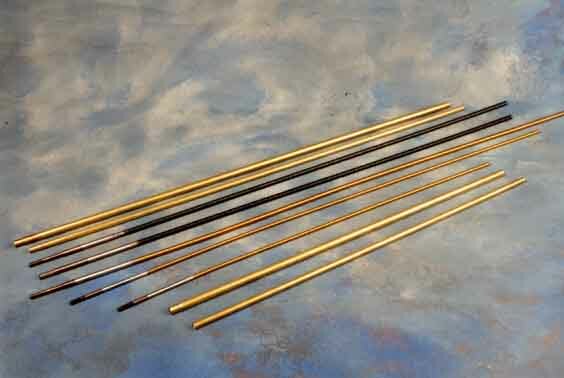 Aeromarine Flex Shaft assemblies with welded and hardened steel stub shafts. 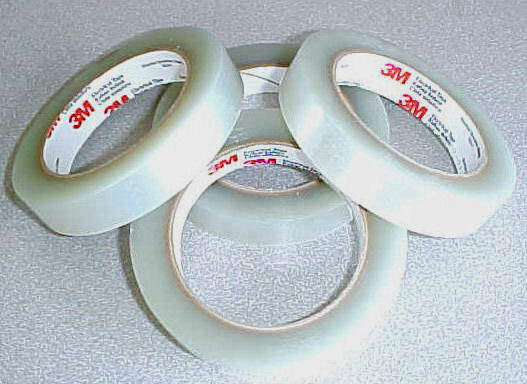 "REVERSE - Right hand rotation"
The original and finest USA manufactured radio box tape available. Super strong and comes off cleanly without leaving residue adhesive on the lid. 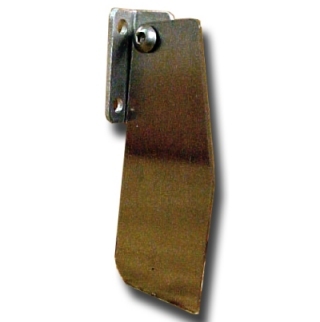 "The Worlds Best"
.45/.90/Gas Rudder Assembly - This durable rudder provides kick back protection, adjustable control horn, strong aluminum angle brackets with brace and bronze bushed pivot block with oil hole for a frictionless and slop free rudder. Our properly designed Rudder provides plenty of water flow from an internal water pickup and plenty of surface area eliminating the need for redundant dual rudder setups. 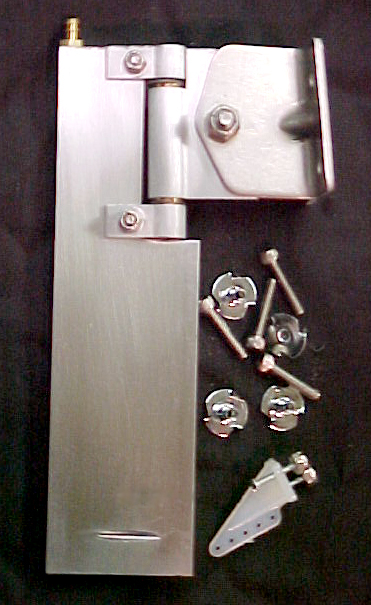 This standard Strut includes all stainless mounting hardware, Profiled blade, perfectly counter bored to accept our nose piece and reducer bushings. 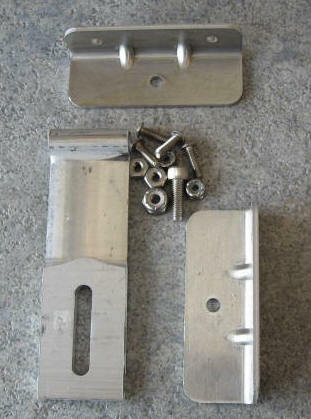 Strong aircraft aluminum centre braced brackets with provision for an auxiliary water pickup and/or tuned pipe mounting. Includes: Nose Piece, Reducer Bushing, Led Teflon's, Strut Blade, Brackets & Mounting Hardware. 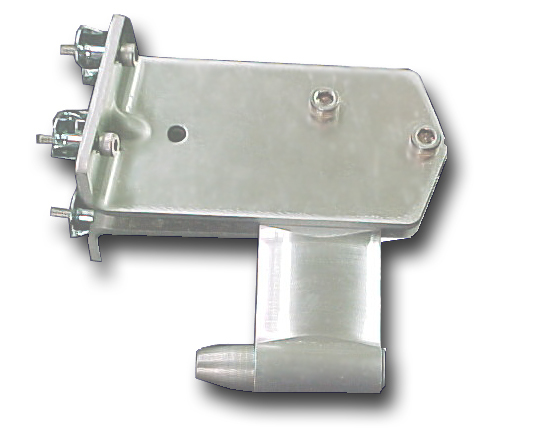 This 1/8 Scale Hydro Strut mounts through the hull bottom and includes all stainless mounting hardware, Profiled blade, perfectly counter bored to accept our nose piece and reducer bushings. Includes: Nose Piece, Reducer Bushing, Led Teflon's, Blade, Brackets & Mounting Hardware. No more soaking the hull with after run ! 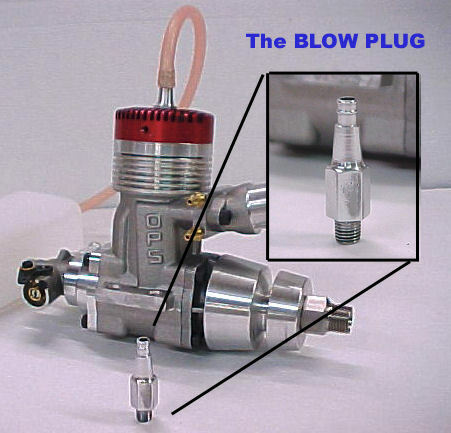 - Screw this into your glow plug hole, spray after-run in your engine while turning it over, and return the spray from the glow plug hole into a spare fuel tank or container.